What Makes a Good CV Stand Out? 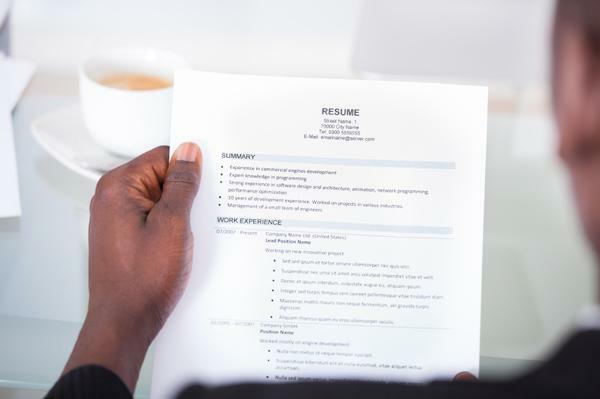 A good looking CV is much more likely to be read in full than one which looks a bit shabby or is laid out in a way that makes it hard to digest. Before thinking about what makes a good CV from a formatting point of view, it is best to have it fully written and saved. Making your CV fit on one side of a page of A4 is a good approach if you have not had work experience before or have perhaps just had one job since leaving school. For most other people fitting their educational background and various work experiences and achievements into such a small space is not likely to be realistic. If possible, keep your CV layout to two sides of A4 and three at the most. This may mean you are tempted to squash a lot of information in by reducing typeface sizes and using small sub-headings. Generally speaking, this is a mistake and you are better off cutting things and shortening sentences to make your content fit the size of CV you are looking for. Line breaks and bullet points are good ways of keeping the flow of your CV’s layout visually appealing. Just because you are trying to limit the overall length of your CV, don’t be tempted to cram it with blocks of text. Conventional typefaces are the best ones to go for when writing a CV. It is hard to imagine the circumstances in which a simple choice of Times New Roman would be frowned upon. However, to make your CV stand out from the pack, other ones like Mistral, Calibri or Arial are quite acceptable. Avoid informal-looking fonts such as Comic Sans or AR Carter. If you have any doubts about your choice, then change the typeface for something more conventional. Only if you are going for a graphic design job or similar should you even consider the funkier typefaces. Your name at the top of the CV can be in a larger font size than the rest of the CV. Use a similar font size for headings that break up sections of your CV along the way. If you are pushed for room, then simply make sub headings bold rather than employing a larger font size. For the main body of the text try not to go too small. A font size of about 11 is as small as you should go otherwise what you are saying is likely to be hard to read. On the other hand you should not go so large that your CV appears to have been padded out. Most CVs begin with your personal details and then progress to an opening personal statement. Following this you may like to list your work experiences based on how relevant they are to the position you are applying for. If this does not work for you, then writing your work history in reverse chronological order usually makes most sense. After your relevant work experience, it is a good idea to add a section about your educational background. This should include the most relevant professional courses and training you have been on and only then move on to university, college and school qualifications. A good way of bringing a CV to a conclusion is to list a few personal interests and hobbies. Don’t be exhaustive here. A few bullet points are enough to give an indication of your personality.